In the hill country, centre of Sri Lanka, nestles ‘the city of light’, Nuwara Eliya. 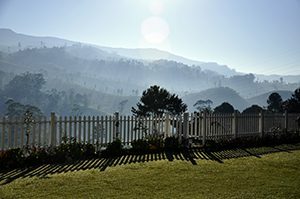 Amidst majestic mountains, lush gardens and the finest tea, Amaya Langdale, a stately century-old manor, takes you back to a simpler time, replete with comfort and serenity; a haven for those seeking the perfect luxury hotel in Nuwara Eliya. At this hideaway in the mountains, delicate nuances of old-world charm can be vividly captured from the paintings adorning the walls to the earth tones surrounding the room. After a day out exploring, find yourself relaxing in the cosy setting of your room with a warm cup of tea. Sink into the lush interior of your room at Amaya Langdale. Radiating from each room is a sense of colonial splendour, unmatched by the exquisite accents of hand-woven cotton linen and antique wooden crafts. With enticing dining options to choose from, Amaya Langdale will take guests on a gastronomical journey around the world by offering a delectable assortment of local and international cuisine. Savour exquisite Chinese, Japanese, Italian and French delicacies at the hotel’s main restaurant or simply sip on your favourite drink at the bar. The choices are endless. 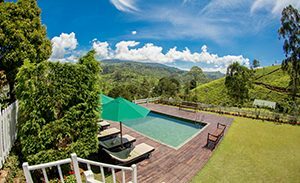 In this panoramic setting, find something spectacular to enjoy your time here in the hill country, be it a morning dip in our swimming pool or a photography tour around the quaint little town of Radella. Explore the categories below and be inspired to set off on a journey. Enjoy a wide range of facilities from a temperature controlled outdoor swimming pool to a Spa treatment that’s nothing short of extraordinary. 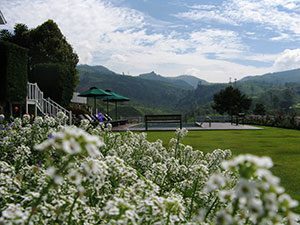 Discover the unforgettable nature of our hospitality throughout your entire stay at Amaya Langdale, offering you a range of other facilities made specially for you. Seducing you with its enthralling setting, the treatments at the Spa are nothing short of extraordinary. Experience blissful sensation as the expert masseuses lull you into a sublime reverie where nothing but peaceful serenity exists. Be one with nature when you step into the outdoor spa. Serene, secluded and with a touch of elegance, the spa is a remarkably designed, ideal for those looking to escape from the chaotic hum-drum of city life.